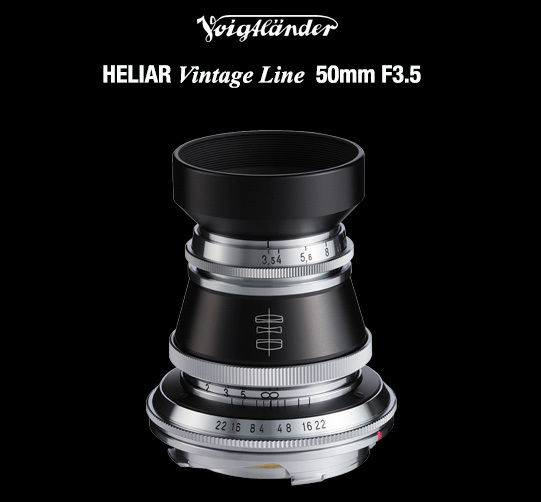 Today Cosina announced a new Voigtlander HELIAR Vintage Line 50mm f/3.5 VM lens for Leica M mount. The price in Japan is ¥65,000 (around $630, US pricing not yet announced). Shipping will start in November 2016. Simple, high-performance Heriataipu is the lens arrangement of a legend that appeared in the 19th century, but has the potential to be verified in modern perspective to exhibit sufficient performance. And a simple optical system with stable descriptive power, is a lens that can feel a strong color reproducibility and goodness of the missing. Classical exterior exterior adopts the original design of the classical taste. All of the parts are excellent in texture and feel is made of metal. 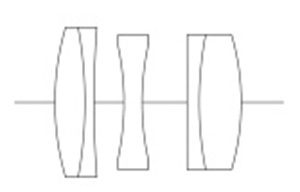 On the lens barrel has been engraved lens configuration diagram of Heriataipu. Exclusive hood comes with the light-shielding performance, as well as also the design of the lens body and the metal hood of the black finish that takes into account, and comes with a metal covered cap. Reliable focus operation is possible manual focus and the total metallic helicoid units that are processed and adjusted with high precision, the adoption of high-quality greases produce adequate torque, realize focusing smooth operation feeling. It has to allow the subtle focus adjustment. Bayonet mount VM adopted VM mount to the lens mount. Bessa series in addition to the (Bessa L, except for the R), you can use a camera which adopted the M mount. Rangefinder system installed by the high accuracy of the range finder interlocking mechanism, allowing accurate focusing even in the shortest photographing distance the vicinity of the shooting at the maximum aperture. Shortest shooting distance of the rangefinder is 70 centimeters. The image circle of the full-size corresponding to the 35 mm full-size, has secured the image circle of the room. 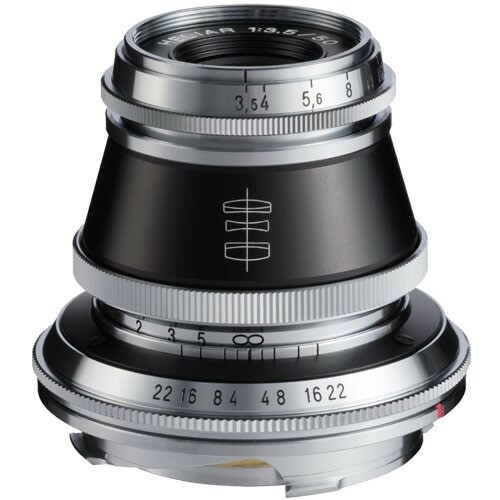 In addition, it is very realize a compact style in comparison with interchangeable lenses for single-lens reflex. Additional information can be found on Cosina's webpage. Few sample photos can be found here. 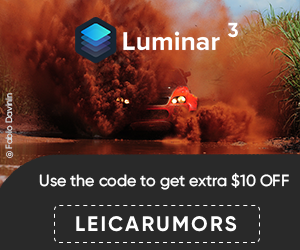 This entry was posted in Leica Lenses and tagged Voigtländer, Voigtlander HELIAR Vintage Line 50mm f/3.5 VM lens. Bookmark the permalink. Trackbacks are closed, but you can post a comment.